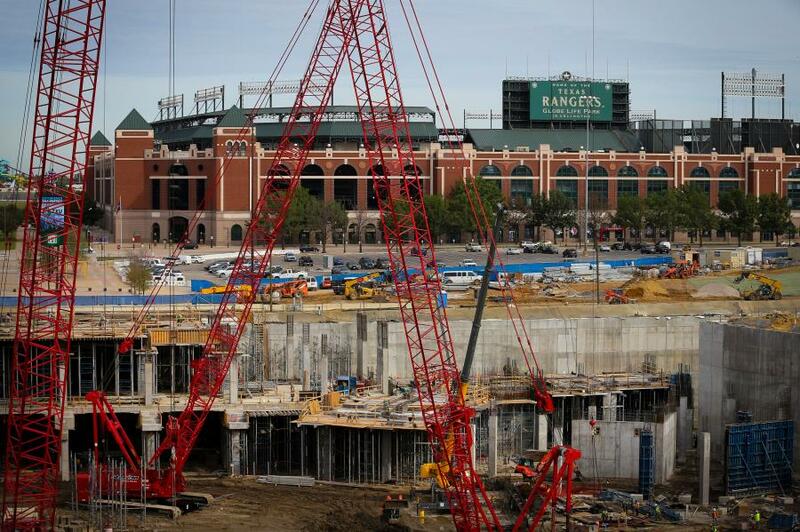 Against a backdrop of overlapping cranes, construction teams in Texas are working to complete Globe Life Field, the new home of the Texas Rangers. 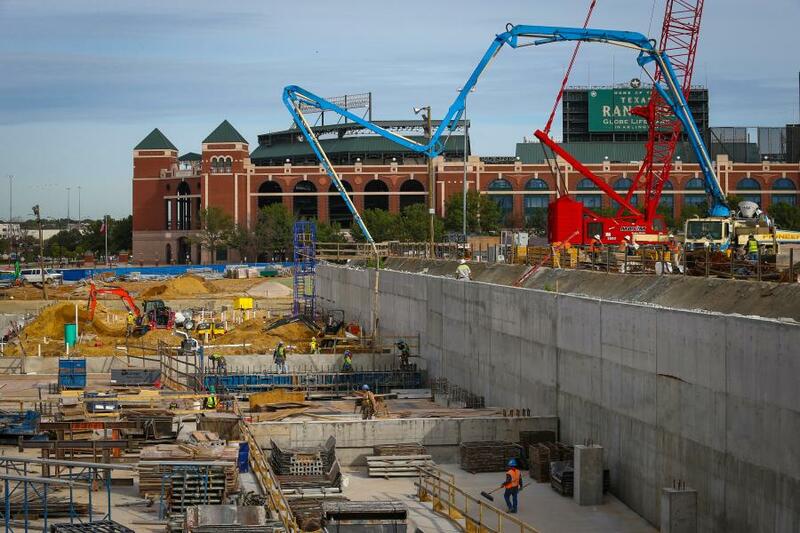 Scheduled to open in 2020, the $1.2 billion stadium represents a partnership between the club and the city of Arlington. "The new stadium will make for a better fan experience," said John Blake, executive vice president of communications of the Rangers. "There will be great seating for everybody, because they'll be so much closer to the action." With portions made from a transparent material, the retractable roof at Globe Life Field will be the first of its kind in baseball. 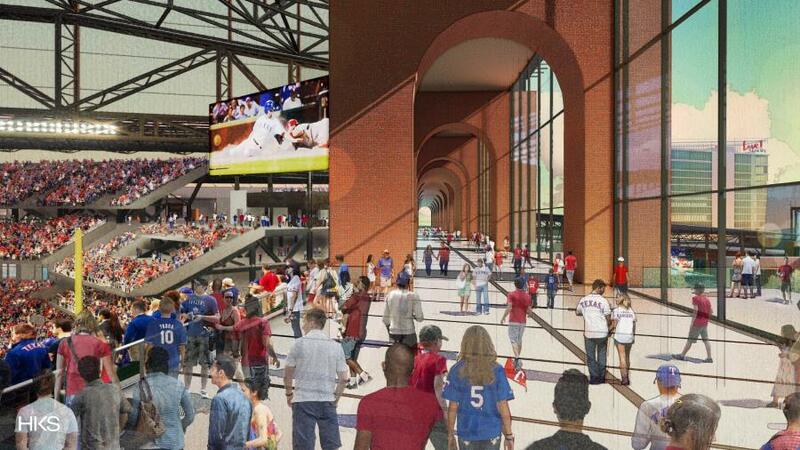 Rangers fans will be able to enjoy the outdoor atmosphere, with the benefit of air-conditioning. "People will be able to watch a game in 72-degree comfort in the middle of summer, when it's 105 degrees outside," said Blake. "The architects designed this massive roof where light will come through. It's going to be amazing, watching it come together." Intended to be an epic and game-changing improvement, the retractable roof will take a year to complete and require 19,000 tons of steel. It will be 600 x 400 ft., for a total of 240,000 sq. ft., at twice the size of neighboring AT&T Stadium. Its top is 230 ft. above street level. 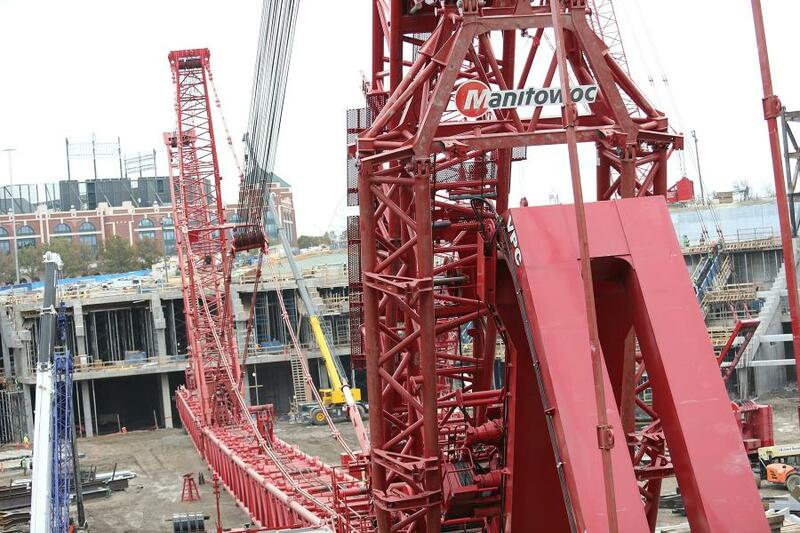 The roof will be built using the Maxim Crane Works Manitowoc 31,000, the biggest American-made conventional crawler crane. At 3 million lbs. total, including 2.15 million lbs. of counterweight, the crane can lift 1.5 million lbs. at 150 ft. in the Rangers' configuration, and up to 5 million lbs. in other configurations. Arriving in 140 truckloads, it took three weeks to assemble, with a 400-ft. reach for this project. "We are at a point where the roof is a necessity, because of the heat, which can be unbearable at times," said Blake. "We're building a ballpark for the fans. We have a great fan base, and they deserve the best park in Major League Baseball. With all the amenities, the recent opening of the adjacent mixed-use entertainment district Texas Live! and the new hotel being built, this is a truly exciting place for people to gather." At 1.7 million sq. 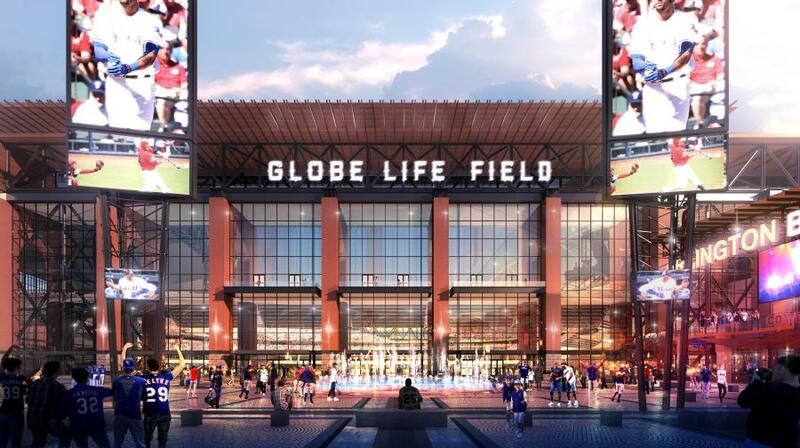 ft., Globe Life Field will be 21 percent larger than Globe Life Park, where the team currently plays. 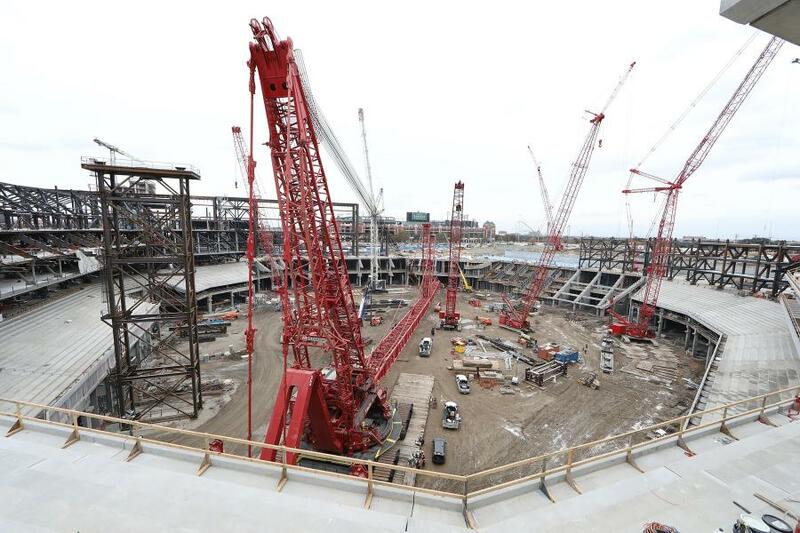 Seventy percent of the seats will be within the foul poles. 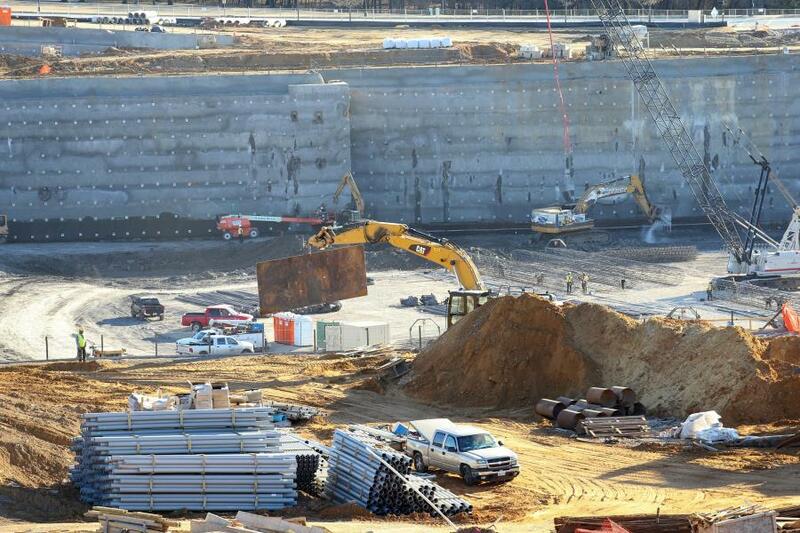 An estimated 16,000 tons of steel will be used to build the seating bowl. 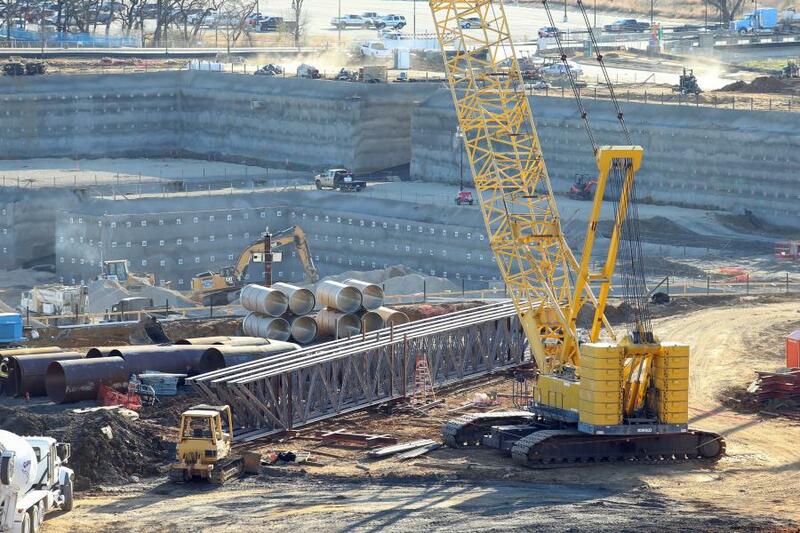 A total of 12 cranes are being utilized to install bowl steel. In addition, the average steel beam measures 48 ft. tall and weighs 9,200 lbs. The distance from the ground to upper facade is 230 ft., which is 116 ft. higher than Globe Life Park. The first row of seats behind home plate is 7 ft. closer than the current stadium, and the upper deck will be nearly 30 ft. closer. 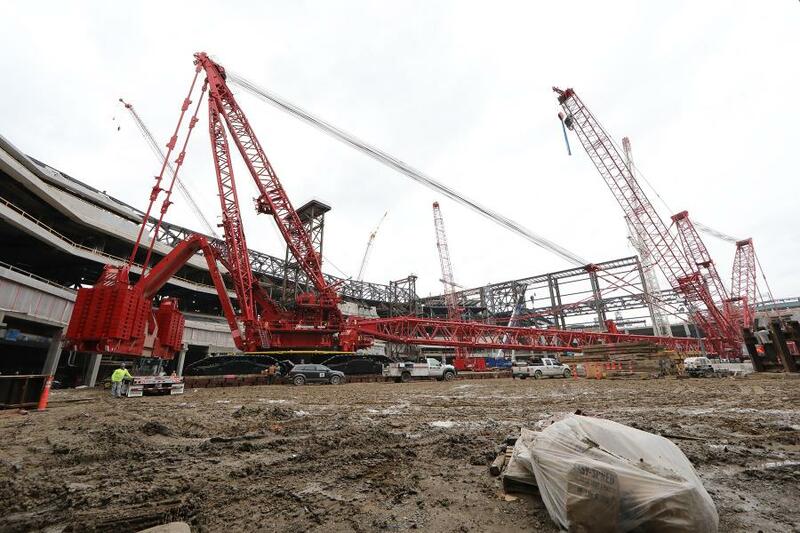 The construction includes 9,700 bowl steel crane picks. 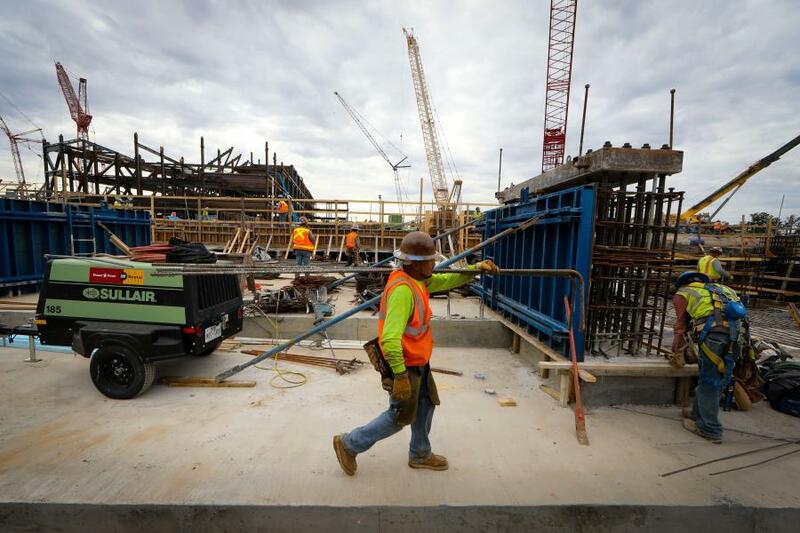 At the peak of construction, there will be 1,800 workers on site. The project calls for approximately 35,000 tons of steel total, and 10,000 cu. yds. of concrete for the lower concourse. Irwin Steel is responsible for all the steel rakers (the diagonal pieces that hold the seating area), as well as additional steel framing throughout the site. The company is fabricating nearly 16,000 tons of steel at its Justin, Texas, plant. All the steel begins at that facility with a flat sheet that's transformed into a column, riser or raker, and constructed together, much like building blocks. Roughly 1.3 million cu. yds. of dirt had to be removed from the job site. 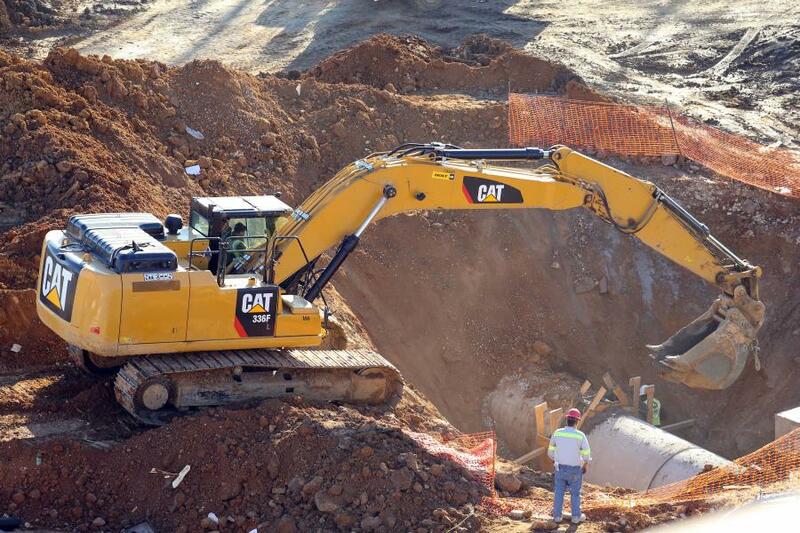 Excavation work was completed in March 2018. 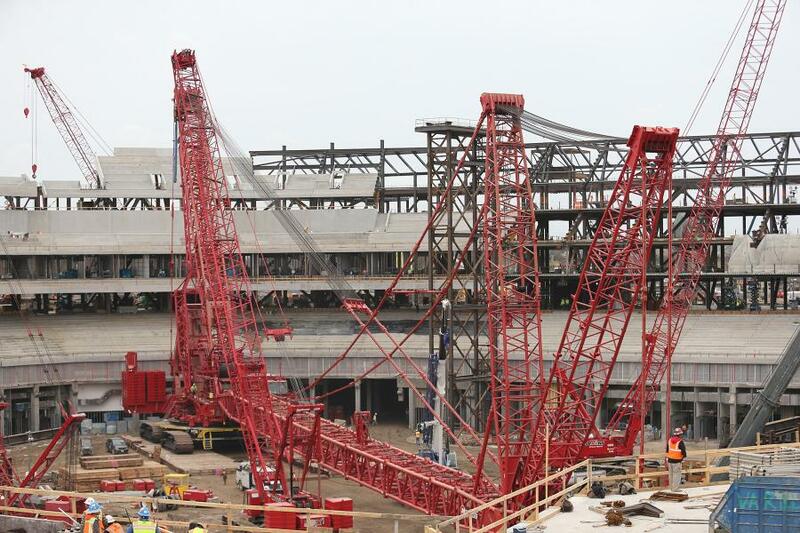 Crews are finishing the concrete pour for the entire main concourse. Pre-cast work also is under way, along with framing for the founder and legacy suite levels. 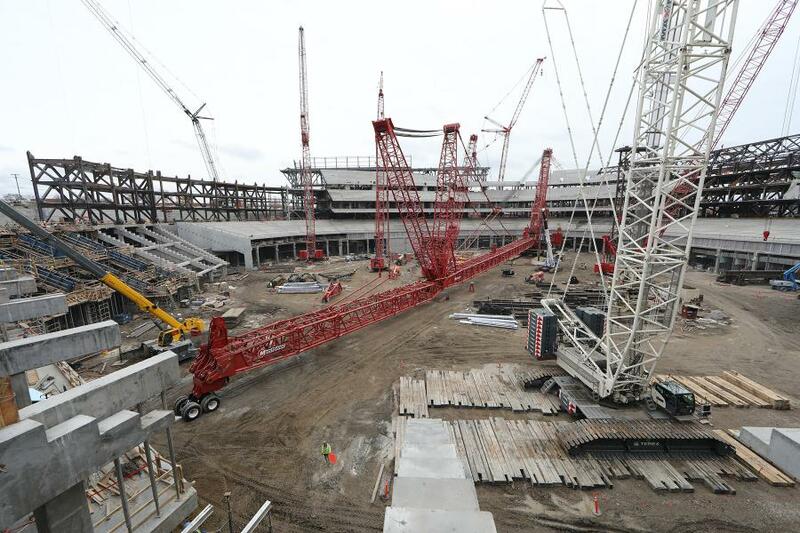 Seating bowl steel work, which started in June, also is progressing. 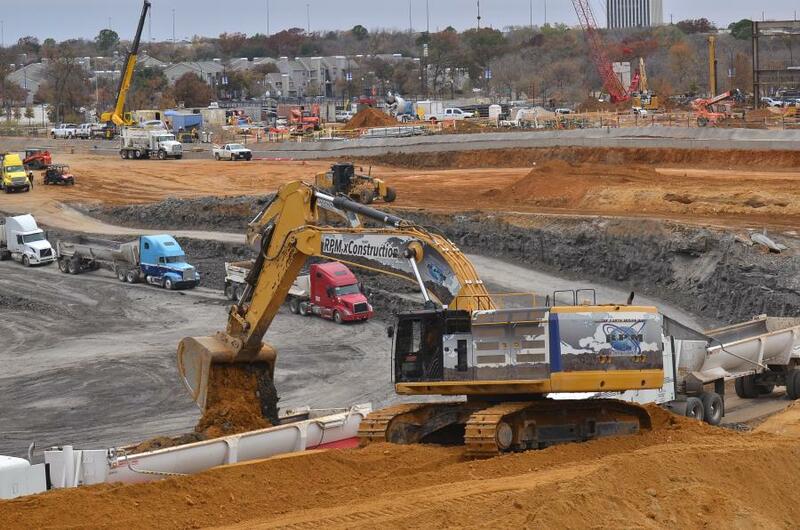 In September 2017, a groundbreaking was held for the new stadium, with Commissioner Rob Manfred among those in attendance. "It really is an amazing project," Manfred told the crowd. "I think of it as another example of the commitment of Ray Davis, Bob Simpson, Neil Leibman, the whole Rangers ownership group to building a real winning baseball tradition here in Texas. Every stadium project has its own timeline and challenges, but I can honestly say I have never seen one that went more smoothly or more quickly than this one. 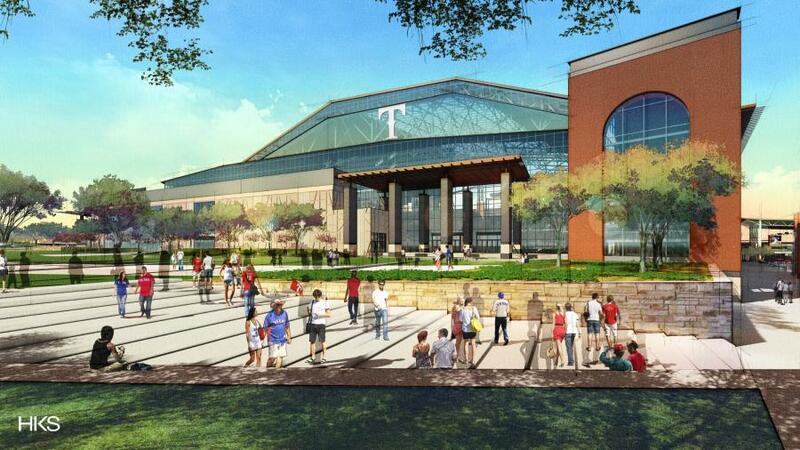 This new ballpark will allow fans of the Rangers and fans in Texas to enjoy baseball in added comfort." Manhattan Construction was selected as general contractor for the project. HKS Inc. serves as project architect. The facility will seat approximately 41,000 fans. Because of the venue size, design, central location and state-of-the-art technology, Globe Life Field will host a number of activities, including collegiate sports, concerts, festivals and other professional sporting events. 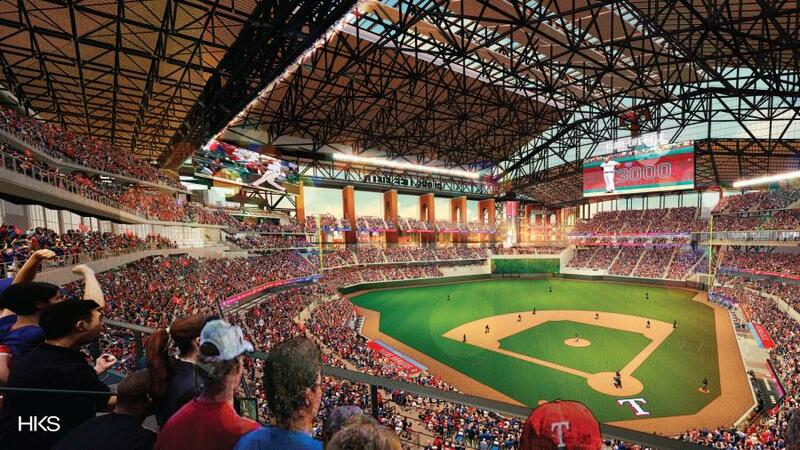 Additionally, the new ballpark will allow the Rangers and Arlington to compete for the opportunity to host an All-Star Game and the final round of the World Baseball Classic. The Rangers hosted the All-Star Game in 1995 for the first and only time in club history. Construction is moving forward at a rapid pace. The first two steel box truss sections were recently installed by crews. One section weighs nearly 200 tons, the equivalent of 100 cars. The ongoing work hasn't gone unnoticed by those closest to the action. "Our offices are across the street, so it's great to be able to watch the changes as the new stadium goes up," said Blake. "It's much more vertical than the current structure. There's not going to be a bad seat anywhere, so it's exciting to watch this project slowly become a reality." Weather has played a factor during construction, but has not been a huge deterrent. "We've had a lot of rain this fall, but it's been at a point where crews could do a lot of work inside. In Texas it doesn't get that cold, so the winter months aren't a huge concern. Right now, we're on schedule, so that's encouraging. There's so much activity all the time, including days, nights and weekends. It's fun to watch." While it's unclear how the current stadium will be used once the new ballpark is finished, Blake feels there are numerous possibilities. 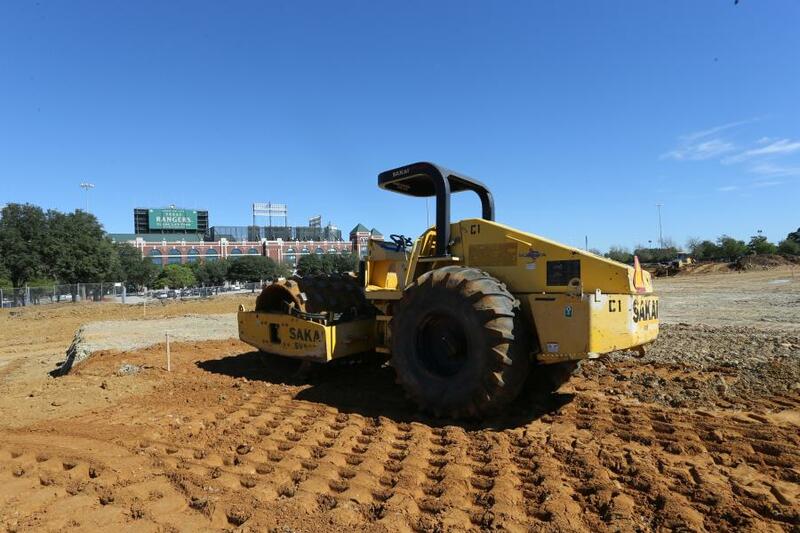 He believes Globe Life Park has served its purpose, but it's time to move on. "You know, technology has changed. How people watch baseball games has changed. The new park, with all it has to offer, will really allow people to socialize and have a great time." Blake added that anticipation is building as the stadium inches closer to completion. "This is a huge undertaking, but it will definitely be worth it. The new stadium will not only be great for the fans, but the players also will benefit, not having to worry about the elements. The new clubhouse also will be fabulous, so there's a lot going on that we are excited about, for sure. "It's hard to imagine after so many years of outdoor baseball, but I think this is going to be something all can enjoy, come March 2020."